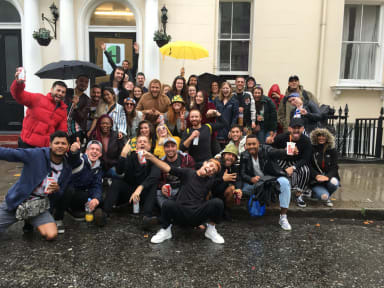 Hostel One Notting Hill kohteessa Lontoo, Englanti: Varaa nyt! Okay place to stay. Kitchen/common area and showers upstairs were nice and new but reception and staircase were really worn-out which gave the hostel somewhat gloomy feeling. My 4-bed dorm was plain: it had just beds (with spring matress and no overlay so you could feel the strings) and rather small boxes that you can lock, as well as dim lighting. 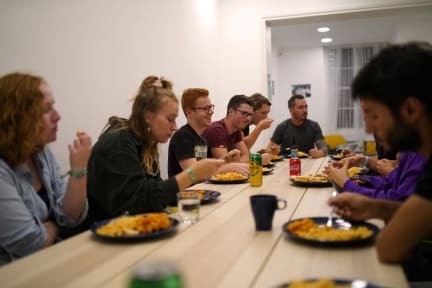 The hostel has social activities (such as daily free dinner and drinking games), which is nice for someone looking for company.